Tropic Thunder looks like it could be really funny. Ben Stiller, Jack Black, and Robert Downey Jr. are all funny dudes, and great actors. 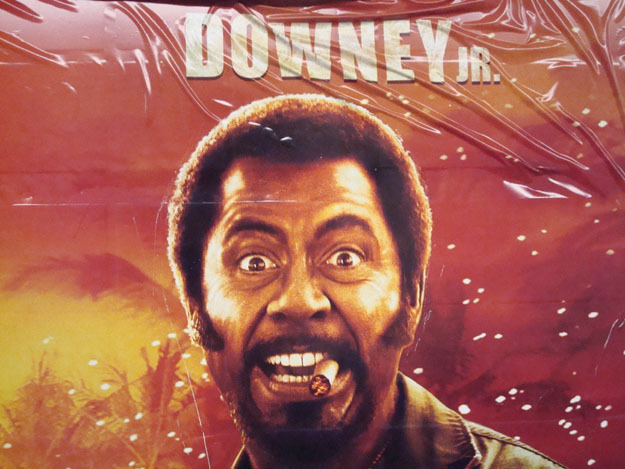 But one thing about the film I can’t understand is the modern day black face Downey dons for his part. Come on were Will Smith or Mekhi Phifer unavailable, or is it for comedic and or publicity’s sake? I’ll continue to do more research into why the choice. I do wonder if the film will get any backlash or negative publicity for such a risky move? Even in an age where a biracial man may soon be President of the United States of America… best to believe race is still a divisive, and mighty touchy subject for many.